Legal fees are a huge part of divorce. Especially in contentious cases, paying for an attorney is one of the biggest expenses in the process. But what if you have to pay your ex’s attorney fees, too? It happens more often than you think. 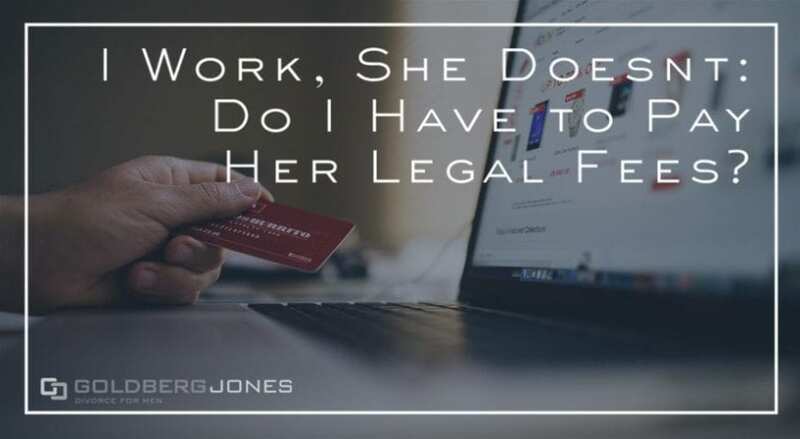 One recent caller finds himself in a situation where he may have to foot his soon-to-be ex-wife’s legal bills and wants to know what he can do. Rick: “Yeah. Unfortunately, in the circumstance he’s in, you fall into a little bit of a stereotype. There’s more to know though, so I’m not giving you bad news quite yet. But it’s also a very similar standard to alimony or spousal maintenance, which is, need versus ability to pay. And so, when there’s a significant difference of income, or, just like the two of you have been living out of your pocket already for years, the expectation is that’s likely to continue while the divorce is pending. Danny: “If you establish that you have taken responsibility for certain things, they can kill you with that. Related Reading: The Cost of Divorce in Washington An in-depth look at the variety of fees or costs associated with divorce in Washington State. One of our founding partners, Rick Jones, regularly appears on the Danny Bonaduce and Sarah Morning Show to answer family law questions from listeners.